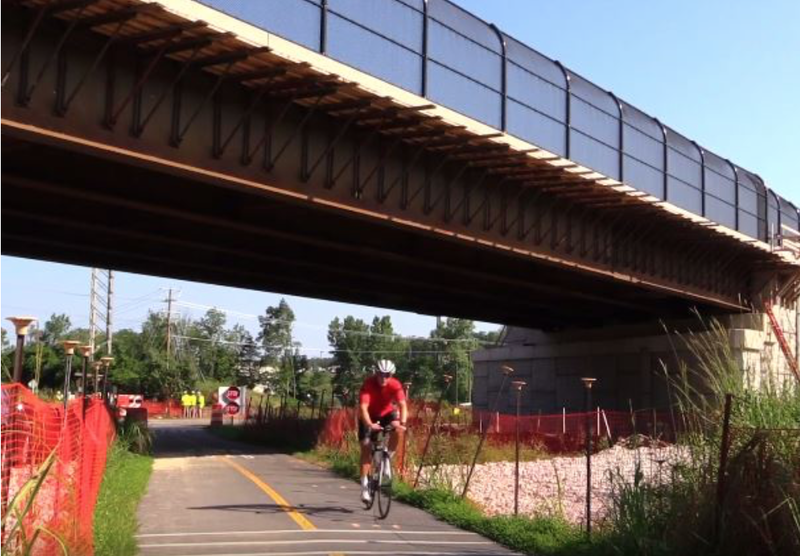 The new Belmont Ridge Road bridge over the Washington & Old Dominion trail in Ashburn opened in late July and greatly improves safety for pedestrians, cyclists and drivers by eliminating the potential for crashes. 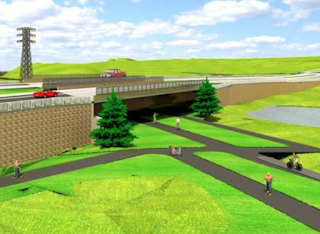 The Northern Virginia Transportation Authority is funding the congestion relieving, multi-modal improvements on Belmont Ridge Road. The new Belmont Ridge Road bridge is part of a congestion-reducing project that will widen Belmont Ridge Road from Gloucester Parkway to Hay Road. Check out VDOT's video to hear what several cyclists, including FABB member Charlie Bobbish, had to say about the improvements. The widening of Belmont Ridge Road is expected to be complete in Summer 2018. To find out more about this project and other NVTA funded projects visit www.TheNoVaAuthority.org and www.virginiadot.org/Belmont.